Well, I’ve already given you some tips on how to drink on a budget in Iceland, which include buying alcohol at the duty free at Keflavík airport in Iceland. But there are some things you shouldn’t buy at the airport because they are way more expensive than in the city. But let’s start with the alcohol, just to get that out of the way. In short: the difference between buying alcohol at the duty free shop at Keflavík airport before you enter the country and buying it at the state run liquor store called Vínbúðin is ridiculous! You can literally save thousands of ISK just by spending a few extra minutes at the airport. All prices in this post were gathered between the 30th of June and the 3rd of July 2017. I’ll let that just sink in a minute before I go on. I mean, how crazy is the price difference? Feeling thirsty? 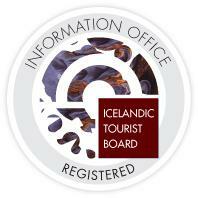 Book a Cheers to Reykjavík Tour right now! I’m a big lover of candy, as you may know since I’ve gone out of my way to exchange candy with people from all over the world lately. There’s a lot of candy at the Duty Free at Keflavík airport and sometimes I wonder if I’m actually saving money buying it there, instead of just popping to my local grocery store. Well, I’ve done the math and divided my selection of candy into what to buy and what not to buy at the Duty Free. It’s shocking to learn that the price of Doritos per kilo at the Duty Free is over 4000 ISK. While at Bónus the price per kilo is close to 900 ISK. That’s just ridiculous! If you buy two 400 g bags of the raisins at Bónus, the damage would be 996 ISK – not 1199 ISK like at the Duty Free. Food for thought (pun intended). The price per kilo for the laces at the Duty Free is 1396 ISK. At Bónus, it’s 1175 ISK. That’s a difference of 221 ISK. You can pay less for a slightly bigger bag at Bónus. The price per kilo of red Skittles is more than 2000 ISK at the Duty Free. At Bónus it’s a little over 1000 ISK. Book the Omnom Chocolate Factory Tour with us today. One thing I always try to do when traveling is to bring snacks with me from home to the airport so I don’t have to buy overpriced fast food. Of course, it’s not possible to go through security with liquids, but I always carry a reusable water bottle when traveling to and from Iceland. You see, the tab water is clean and there’s also a faucet right outside the bathrooms at Keflavík International Airport where you can fill up your bottle. That can be some savings, seeing that a 750 ml bottle of water at the airport costs a whopping 430 ISK. So stupid to pay for something that’s free. Photo taken at Keflavík airport. Other drinks are also quite pricy at the airport. You can get a Svali juice for 215 ISK, but at Bónus that same carton costs only 132 ISK. That’s 83 ISK cheaper than at the airport. Icelandic chocolate milk is 205 ISK per carton at Keflavík airport, while at Bónus you can get six of them for 498 ISK or 83 ISK per carton. So the chocolate milk at Bónus is 122 ISK cheaper than at the airport. I noticed a sign at one of the restaurants at Keflavík International Airport recently where fruit was sold for 150 ISK per piece. That’s not so bad. However, I can get four pieces of my favorite brand of apples, Pink Lady, at Bónus for 398 ISK. That’s 99,5 ISK per apple, so savings of 50,5 ISK per apple. But if I could give you one piece of advice before traveling, if you want to save some money: Make your own sandwiches and snacks. Basic sandwiches at the airport will cost you something from 900 ISK to 1500 ISK. And that’s just the basics. If you’re traveling with children you could easily spend 5000 ISK just snacking at the airport. So, buy some bread and cold cuts at your local store and make sure you have enough to last you the whole trip. I hope my breakdown on what to buy and what not to buy at the airport has been helpful. The reason I chose Bónus as my local store to compare prices is because most pricing polls indicate that Bónus is the cheapest supermarket in Iceland. If you have any questions, make sure to send them to me at mustsee@mustsee.is.